Advanced NDT Solutions provide a comprehensive Remote Visual inspection service. Our certified team of Inspection Engineers can provide a range of remote visual inspections. Vessels and tanks can be inspected using cameras which eliminate the need for scaffold and confined space access to complete the inspection. The pan and tilt camera featured below has an extendable arm which allows for access into vessels. The large lights give excellent illumination in dark spaces and the 10xoptical zoom makes it easier to focus on areas of interest. The small pan and tilt camera detailed below is 45mm in diameter. 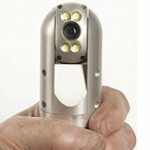 This small and robust camera allows for access into boiler headers through the small inspection nozzles. Like all the cameras we use the camera can be linked into a recording device to record video and still images. 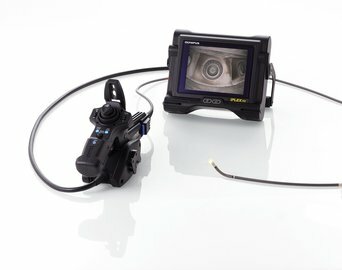 Advanced NDT Solutions provide remote visual or borescope inspection of small diameter pipework generally used in the pharmaceutical industry. We use highly portable battery power equipment and can inspect sizes as small as 15mm diameter. 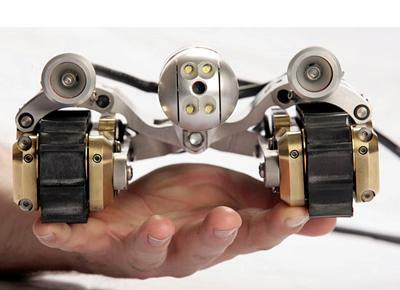 For larger diameter pipelines we use the crawler inspection camera detailed below. 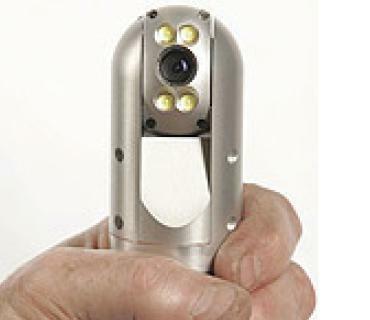 This camera can inspect pipe diameters from 4” to 24”. Our capability and experience has developed over the years as the technology has improved. 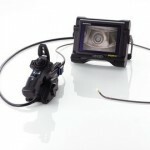 We have a wide range of remote visual equipment that can be used to inspect a wide range of plant and equipment. If you have a specific inspection requirement call us to discuss what we can offer.